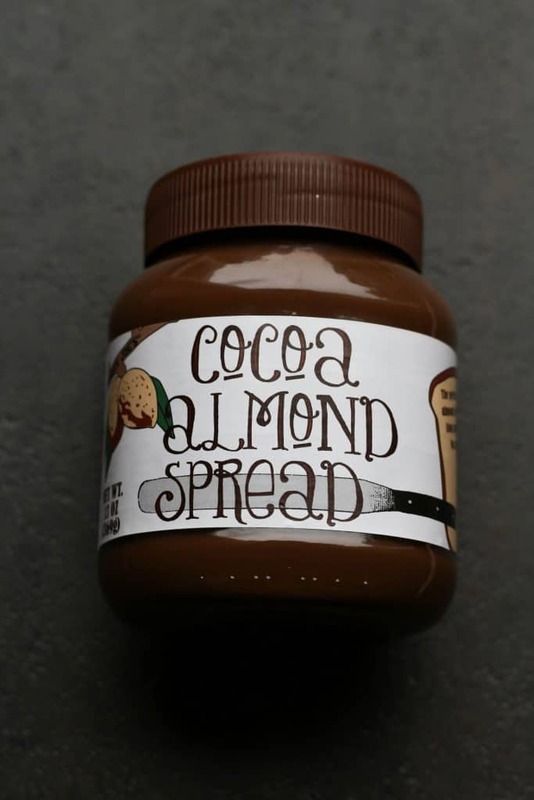 The pros: Trader Joe’s Cocoa Almond Spread is really darn good. 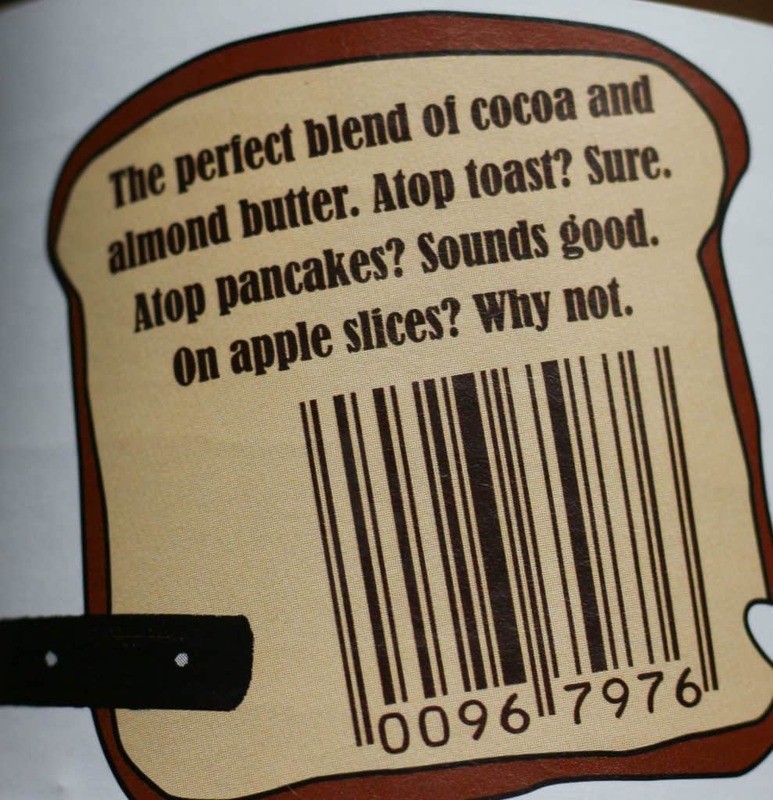 It was obvious that when they created the product the said, “Create something delicious. Nutrition be damned!” Ok, that’s probably not what happened, but that is the story that plays in my head when eating this. The cons: First ingredient is sugar, so don’t hype yourself into believing this is healthy for you. The second ingredient is fat, so you know this is going to taste good. It’s also 210 calories per 2 tablespoon serving in case you are counting. The verdict: So, as of September 1st this blog has been live for a full year. Just about 600 posts later, I’m shocked I hadn’t tried this sooner. I sometimes like to compare products to a better known mass market product. In this case, it completely reminded me of Nutella. 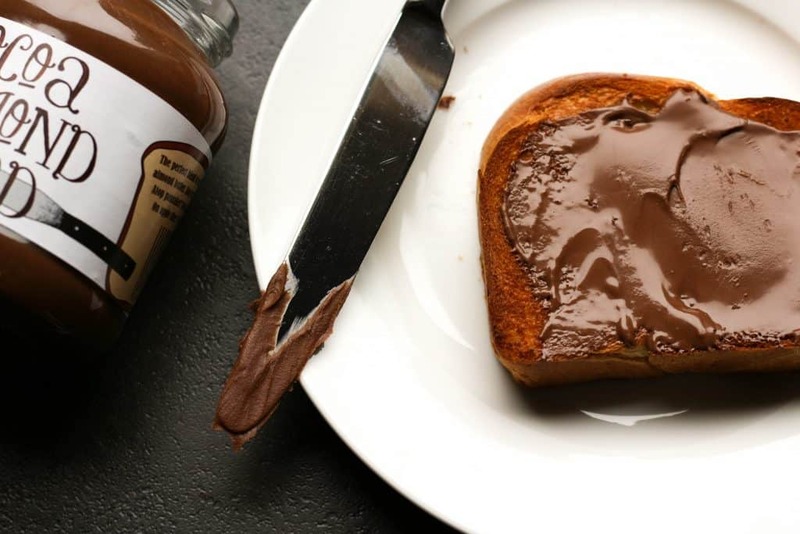 I thought that was odd as this is an almond spread and Nutella is a hazelnut. While I can’t tell you exact measurements, I can tell you that when you look at the ingredients of Nutella, you might notice a surprising number of item overlap what is in this product: sugar (check), palm oil (yup), hazelnuts (see last ingredient in this spread), cocoa (match again, just almonds are in front of the cocoa here), skim milk (yes), lecithin (it’s on the list), and vanillin. That’s a lot of overlap in terms of what goes into a product. So it’s not just my imagination that’s telling me yum and this product seems to taste a lot like Nutella. Now, if you’ve never had Nutella then perhaps you’ve had a Ferrero Roche. It’s a mix of crisp chocolate, hazelnuts and melt in your mouth chocolate. That melt in your mouth chocolate is Nutella. This operates the same way. 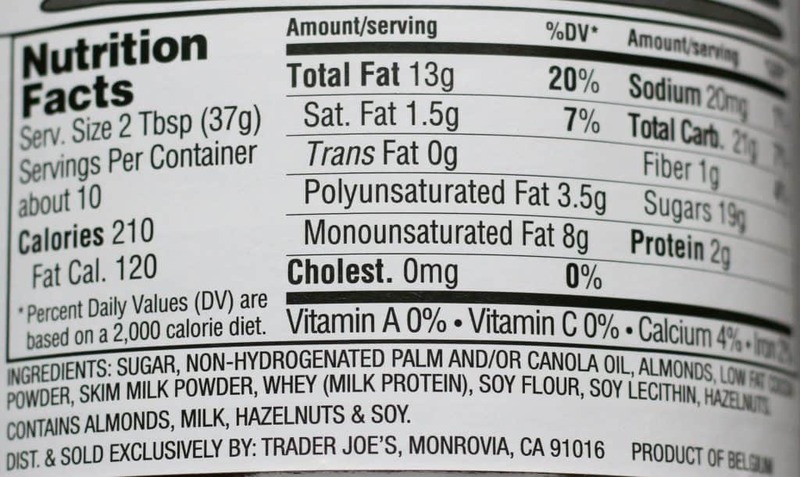 It’s on the sweet side, so if you are watching your sugar intake, just be aware that is the first ingredient here. As much as you might hope for nutty deliciousness first, taste wise it is a melty chocolate taste. The almonds do come through, but this seems to be a secondary flavor. Add this to toast and you will have melted chocolate spread. This morning’s breakfast was pure bliss. For $3.99 this is high on flavor and high on calories. It’s no health food, but it is food that will bring a smile to most chocolate lovers faces (and stomach’s). It won’t make my weekly list, but it’s a nice occasional treat to make anything just a little better and a bit more chocolatey. Would I buy this again? 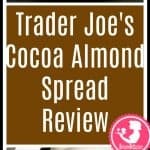 Yes, I would buy Trader Joe’s Cocoa Almond Spread again. It really shines as a product when slightly melted. It may even remind you of Nutella. This isn’t health food. It’s just something that will make your tastebuds tingle. Do you think this could be melted a bit in the microwave to pour over ice cream? How about adding a bit of coconut oil to produce that Dairy Queen Cone Dip experience? Would that work with this spread, do you think? I’ve been just melting the Trader Joe’s Dark Chocolate with the coconut oil, but this sounds extra yummy for that purpose. This looks so good! Love nutella so can’t wait to try this!! Damned good? this stuff is awful! It’s too damned sweet! I can’t taste any almond and hardly any chocolate. I didn’t read the ingredients closely enough before I bought it. Now What was I going to do with this junk food? Modify it – I made my own creation: Add one jar of TJ’s coca almond spread in a bowl with one sixteen ounce jar of almond butter and one sixteen ounce jar of cashew butter, and 3 to 5 tablespoons of unsweetened cocoa powder, and blend with a mixer. My friends love it – they all say it still tastes sweet – with less than a third of the sugar and oil of the original.